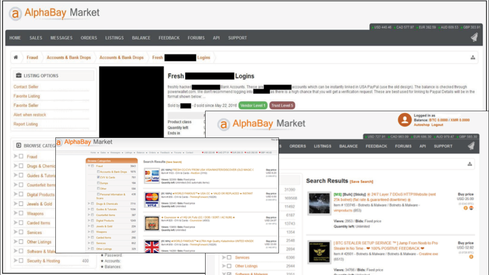 AlphaBay, founded in 2014 by alpha02 (a well-known carder) and DeSnake, has become the most popular cybercrime market in 2016, since some competitive sites have shut down. This market emulates popular e-commerce sites like eBay or Amazon in appearance, navigation, and features, and accept digital currency like Bitcoin. Yet, these customers aren’t shopping for best-selling books, vintage watches, groceries or diapers; rather they are browsing the selection of tens of thousands of items offered by AlphaBay for items related to drugs, malware, exploits, hacked accounts, stolen credentials, and other illicit goods and services — including hacking services. 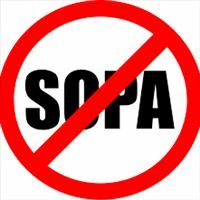 AlphaBay is better concealed and harder to access than some of the sites on this list; much of it cannot be found through a Google search. It is located on the unindexed, encrypted segment of Internet, the "Dark Web," and therefore must be accessed via the Tor network, which anonymizes all the traffic going to and from the site. That isn't so difficult to do, though. “Thanks to Tor proxies, AlphaBay can be easily accessed through your normal web browser,” says Christopher Doman, consulting analyst at Vectra Networks. The Tor Browser with a pre-configured browser can be run off of a USB flash drive, for example.